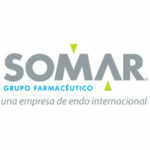 DUBLIN, July 5, 2017 – Endo International plc (NASDAQ: ENDP) today announced it has entered into a definitive agreement to sell Mexico City-based Grupo Farmacéutico SOMAR to Advent International for approximately $124 million subject to customary adjustments for cash, debt and working capital. The transaction is expected to close in the second half of 2017, subject to customary conditions, including the approval of the Mexican Competition Commission. Endo intends to classify the SOMAR assets and liabilities as held-for-sale in second-quarter 2017 and consequently expects to record an estimated pre-tax impairment charge of approximately $100 million, primarily impacting the carrying balances of goodwill and other intangible assets. Endo will finalize its analysis and record any required impairment charges in connection with its second-quarter 2017 financial reporting close. Endo International plc (NASDAQ: ENDP) is a highly focused generics and specialty branded pharmaceutical company delivering quality medicines to patients in need through excellence in development, manufacturing and commercialization. Endo has global headquarters in Dublin, Ireland, and U.S. headquarters in Malvern, PA.
SOMAR, headquartered in Mexico City, is a leading pharmaceutical company focused on the development, manufacture and marketing of high-quality generic and branded generic products in Mexico. The company focuses on a number of key primary care market segments including dermatology medications. Founded in 1984, Advent International is one of the largest and most experienced global private equity investors. The firm has completed 325 investments across 40 countries and as of March 2017 had $39 billion in assets under management. Advent has significant experience in the healthcare sector, having deployed more than $5.5 billion in 39 companies, including 14 businesses involved in pharmaceutical development, distribution and outsourcing. The firm is also one of the leading private equity investors in Latin America. Since 1996, it has raised more than $6 billion in capital for the region and invested in 60 Latin American companies. Advent is committed to partnering with management teams and investing in businesses to strengthen their operations and drive revenue and earnings growth. This press release contains certain “forward-looking statements” with respect to the proposed transaction between Endo and Advent (including expected accounting treatment and impairment charges) within the meaning of the Private Securities Litigation Reform Act of 1995. Statements including words such as “believes,” “expects,” “anticipates,” “intends,” “estimates,” “plan,” “will,” “may,” “look forward,” “intend,” “guidance,” “future” or similar expressions are forward-looking statements. Because these statements reflect our current views, expectations and beliefs concerning future events, these forward-looking statements involve risks and uncertainties. Investors should note that many factors, as more fully described under the caption “Risk Factors” in Endo’s Form 10-K, Form 10-Q and Form 8-K filings with the Securities and Exchange Commission and as otherwise enumerated herein or therein, could affect Endo’s future financial results and could cause Endo’s actual results to differ materially from those expressed in forward-looking statements contained in our Annual Report on Form 10-K. The forward-looking statements in this press release are qualified by these risk factors. These are factors that, individually or in the aggregate, could cause our actual results to differ materially from expected and historical results. Endo assumes no obligation to publicly update any forward-looking statements, whether as a result of new information, future developments or otherwise.